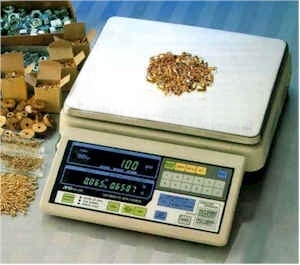 Used-scales.com is an online leader in the distribution and development of weighing technology for many in various industry. Our company has been distributing and repairing electronic weighing systems for more than 30 years. We also like to educate our customers on buying trends and guidelines. For example, in many cases it costs more money to buy a used floor scale than it does to buy a new floor scale. You can expect a lot from Used-Scales.com. We pride ourselves on bringing our customers the latest technology, superior quality, and the utmost value. The reason we bring you this site, used-scales.com is to give you a website dedicated entirely to bringing you the best selection of USED SCALES and BALANCES you can find anywhere. Be sure to check our site each month as we constantly add the best selection of used scales and weighing equipment values you'll find anywhere! Thanks for visiting our site. Our goal is to provide you with some really good buying information for purchasing used scales which will save you money and be very reliable. Hopefully this site will help you to make the correct buying decision. You can still search and find a rare used balance or shipping scale or see the website that promotes used farmers market scales for sale and used hanging scales for sale but generally it's tough to find many places that are offering those products on a regular basis. ©Copyright 2016 Used-Scales.com. All Rights Reserved.